In my last post, I explained why group fitness instructors need to start championing push-ups in their classes. Push-ups are functional, easy to do at home and one of the best ways to work the chest. Participants are finally starting to acknowledge push-ups as a good workout and with a little encouragement, we can convince the entire class to embrace the push-up. My previous post explained the first three progressions of push-ups for anyone just starting out or that has a physical limitation at the moment. Now, let’s take a look at the next set of push-up variations for those wanting more challenging options. Once your Group X class has mastered the first version of knee push-ups, then they can move on to the second version. The only change is to move their hands farther away from their knees, and transition so that their weight is right above their knees. Their body should be in a straight line from the knees to the shoulders as participants lower their body to the floor by bending at the elbow. For tricep push-ups, participants will place their hands right under their shoulders and come up onto their toes in a plank position — body in a straight line from ankle to shoulders. Have participants lower their body to the floor by bending their elbows and extend to push back up. Make sure folks go all the way to the floor. I like to call this, “chest to deck”. I always encourage members to try at least one push-up on their toes before going to their knees. They can always switch in the middle of a set, and even just one on the toes will help challenge them. So, even if they can’t finish the set on their toes, it’s great to have participants envisioning these push-ups as their ultimate goal, rather than settle in knee push-ups for eternity. Also, to help alleviate some minor discomfort in the wrists, I encourage members to push all of their fingertips into the floor and picture themselves distributing the weight evenly between fingers. Once folks have mastered the tricep push-up, then the fun begins as we get to start playing with other push-up variations. In my last post, we talked about using a step to help members progress towards doing this exercise on the floor. Once they want to move beyond the standard floor push-up, they can use the step to lift their lower half, putting more weight into their push-up. With these six push-up options, Group X instructors should be well-armed to teach this exercise to participants with a wide range of fitness levels. If you’re excited about push-ups, I have complete confidence you can get your class excited about them, too. For more posts like these, check out the workout routines and playlists page. Also, you might like the tricep exercises post. Push-ups are one of the fundamental exercises in the fitness industry. They’re a great way to work your chest and core, plus you don’t need any equipment to do them. Yet, not all participants in a Group X class are stoked to do push-ups. I get it. Push-ups are hard and we’ve been conditioned to think that doing a chest press with 10 pound dumbbells is good enough in group fitness. But, I’d like to challenge us all to break free from the stigma around push-ups and encourage them in our fitness classes. In order to teach push-ups in your Group X class, you’ll want to be armed with a quite a few variations or progressions of the push-up to help everyone find success at their own level and pace. Here’s a look at the first three push-up progressions to cue for beginners and for anyone with a fitness limitation. If you’re just starting out or have a limitation you’re working through, push-ups against the wall are a great starting point. Put your hands shoulder-width apart against the wall, right under shoulder-height. Scoot your feet out from the wall a few paces, so that you’re at a slight angle (not quite 45 degrees) to the floor. Keep your body in a straight line from your head all the way to your ankles as you bend at the elbow to bring your body towards the wall. As participants continue to progress towards a push-up on the floor, they’ll want gradually get lower to the floor. Push-ups on a step are a great progression from the wall. If you have chairs, stairs or other higher equipment, those might be an even better next option after the wall. Set up the step with a few risers underneath – it’ll be easier with more risers. If your step has bumpy ridges, you might want to place a towel down first. Then, place your hands on the step, right under your shoulders. Come into a plank position, either on your knees or your toes. Your body should be in a straight line from your knees to shoulders (or ankles to shoulders, depending on what plank you chose). Lower your body towards the step and back up, keeping that plank tight the entire time. Once participants are able to transition to the floor, knee push-ups are oftentimes the typical place to start. Have participants place their hands right under their shoulders, with hands either shoulder-width — or a little bit wider — apart. Start on all fours, with your knees directly under your hips. Lower your chest to the floor by bending your elbows. These three push-up variations are a nice starting point for beginners. Especially as folks are building their upper body strength, make sure participants know these are perfectly good options. Tune in next week for the second half of the push-up progressions. If you liked this post, you might also like my posts sharing tricep workouts. For more exercise ideas, check out my workout routines page. Summer is here! And for many spinning instructors, that means a dip in your class sizes as many participants opt to ride outdoors instead. Rather than getting down on yourself about the smaller class sizes, spend that extra energy thinking of creative ways to boost morale and engage the members in your Group X classes through fun, new spin class routines. Here’s a spinning routine that’s received good feedback from members. This one puts a special twist on the climb. In this case, you’ll start with your traditional climb, adding resistance as you pedal to move from moderate to hard intensity. And, that’s where the similarities end for your traditional climb. Once you get to the top of the hill, you’ll ask members to maintain their resistance and do surprise sprints. That means you’ll call out a time duration and an intensity level (moderate, hard or breathless), count down from three and then folks will start their sprint. After each sprint, make sure participants get adequate recovery time. These intervals are fun, because participants need to be focused on your instructions and respond. They also mimic an outdoor ride when someone in the pack of riders decides to shoot off in front of the rest, taunting the rest of the group to keep up. The final song of the series is a reverse climb where participants will start with heavy resistance and hard intensity and take off resistance until they’ve found a moderate intensity level and are close to flat road. To round out a 45-minute spin class, you’ll do these same drills three times through, picking different sprint durations each time. Here’s a look at the workout playlist, along with the spin class routine. For another spin class idea, check out the Triple Threat routine. It’s important for fitness instructors to keep their spin class routines interesting. If every class is the exact same thing day in and day out, participants will stop enjoying themselves and stop seeing progress. 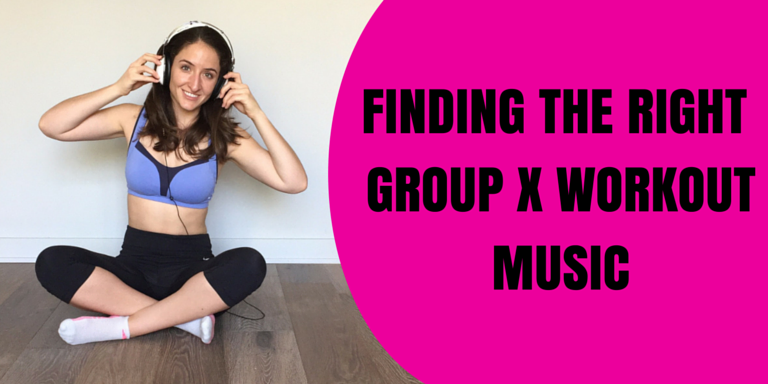 While we all have our go-to playlists and workouts, it’s important to add an exercise or two to mix it up. There are a few easy ways to spice up your spin class routines. You can add a crowd-pleasing song that you know will amp everyone up — my current song obsession is, “Pour Some Sugar on Me,” by Def Leppard. You can also try a new exercise that’s not part of your typical toolkit. Here’s one of my spin class routines and playlists that I call “Increasing Intervals”. I’ve split up the songs into three series. The first series revolves around a “30” theme, so intervals and activities are held for 30 seconds each. So, we start with a climb, increasing resistance from moderate intensity to hard intensity, finishing the song with a 30 second breathless interval. The next song is breathless intervals and periods of recovery for the allotted time, so 30 seconds each in this case. Finally, the series wraps up with an increasing intensity drill. Every 30 seconds, participants increase intensity, either adding resistance, increasing leg speed, sitting or standing. There are a total of four intervals: moderate, hard, very hard and breathless intensity. The group can recover for the rest of the song and can continue to recover at the start of the first song of the next series, if needed. The next series focuses on “45”, so we do the same activities this time for 45 seconds each. Then, we do these exercises again with a “60” theme, holding everything for one minute. I like this spin class routine, because it gives participants a chance to get good at the drills, but it also increases in difficulty as the class goes on. By the end, you’ll really need to motivate the participants to push themselves for the 1-minute intervals. For more spin class routines and music ideas, check out the workout routines and playlist page. I get a kick out of finding new ways to strength train. That’s what’s so fun about being a fitness instructor — it’s a chance to get creative with how to work the same muscle groups. Last week, I shared three simple tricep workouts to show a range of different ways to achieve the same goal: working the tricep muscle. Here are three more exercises to strengthen your triceps. Get into a push-up position with your hands right under your shoulders. Lower your body towards the floor with elbows tight to the body. Hold the exercise when your body is halfway down and your elbow and shoulder are in a straight line. Want to modify? Participants can be either on their knees or toes. After the exercise, consider finishing with a pushup before going towards the floor. Also, you can increase or decrease how long you hold the exercise. When upright (standing or sitting), extend your arms over your head so that your wrists, elbows and shoulders are all stacked on top of each other, holding a dumbbell in each hand. Bending at the elbow, bring the weights behind you until your wrist and elbow are parallel. Want to modify? You can use one weight instead of two, or replace the dumbbells with a bar. Consider incorporating a leg exercise to make it a compound movement. For example, you can do some tricep workouts along with a lunge hold or balancing on one leg. Holding one handle of the band, face your palm towards the wall in front of you and loop the band so it’s behind your back. From there, extend that arm, so that the wrist, elbow and shoulder are stacked right on top of each other. Then, reach your other arm behind you and grab the band. Lower your arm so that your wrist is in line with our elbow and choke up on the band until it is taunt. Now, extend your arm back up toward the ceiling and repeat. Want to modify? You’ll be able to play with your resistance, depending on how much you choke up on the band. Reach your lower hand closer toward the ceiling to make it harder and vice versa. Keep these tricep workouts in your back pocket for the next time your Group X class requests a modification. Your group fitness participants will appreciate the options. For more exercise ideas, check out the workout routines and playlist page. If you’ve ever been to The Cheesecake Factory, you know that people go there for the options (and the bread basket, of course). Why else would you go to a restaurant that has as many pages as a high school textbook? Having a wide selection to choose from is nice, because you know that everyone will be able to find something they like. The same rings true in group fitness (Group X). People appreciate having options and a base line understanding of how to modify or alter exercises, such as tricep workouts. As group exercise instructors, it’s important to know a few different ways to work the same muscle, plus how to modify that exercise based on needs. That way, you can provide participants with options so they can make their own decisions when they have restrictions to keep in mind. Triceps are a great example of an exercise that can be done many different ways, depending on preferences. Some folks may have limited range of motion and feel uncomfortable bending at the elbow with their arm overhead. Others may not want to lay on their backs or don’t have the strength to do dips yet. Here are three different tricep workouts. And, this isn’t an exhaustive list — there are plenty more tricep exercises out there to try, as well. Lie flat on your back and extend your arms right over your shoulders with a dumbbell in each hand. Bend at the elbow, bringing your hands towards your face. Your shoulder joint stays in the same spot the whole time. Want to modify? You can lift one weight instead of two, holding one side of the dumbbell in each hand. You can also use a bar instead of dumbbells. To up the challenge, bring your legs into a table top position, with your knees right over your hips and legs in a 90 degree angle. Lie flat on your back and extend your arms right over your shoulders with a dumbbell in each hand. Lower your arms towards the floor, bringing the weights right over our belly button and making an L-shape with your arms. Keep your elbows tight to your body. Want to modify? You can use lighter weights, hold one weight instead of two and use a bar instead of dumbbells. Also, you can incorporate lower abs by positioning your straight legs right over your hips, then keeping your legs straight and lowering your ankles towards the floor. Place your hands and feet on the floor, with your chest and hips towards the ceiling, like a crab position. With your hips up slightly, bend at the elbow to lower your body towards the floor. As you bend, elbows go straight back toward the wall behind you. Pro tip: I’ll often see participants moving at the hip and shoulder joint to move their body lower. Instead, tell them to keep everything still except the elbow — that’s the only thing that should be bending. Want to modify? You can place your hands on risers or a steps to decrease the load. You can also place your feet on risers or a step to increase the difficulty. Also, you can straighten one leg and switch halfway. Check back next week for Part II of the series that will share three more tricep workouts to try. And if you’d like more workout ideas, check out the workout routines and playlists page.